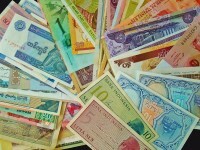 People living in extreme poverty are some of the most vulnerable people on the planet. They often are in desperate need of basic necessities, they often lack a public voice to speak up for their rights, and they often don’t know their rights or what recourse they have when those rights are violated. 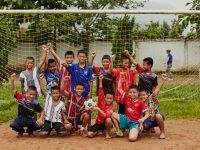 Children in extreme poverty are even more vulnerable — the biggest reason, perhaps, that they are preyed upon by those who would exploit and abuse children. At Compassion, we are passionate about ensuring that children in poverty are known, loved and protected. Therefore, child protection is not just part of our ministry; it is foundational to our ministry. In order to best protect children, we take a proactive stance toward these issues — not just responding to instances of abuse, but actively training and educating in order to prevent harm to a child. 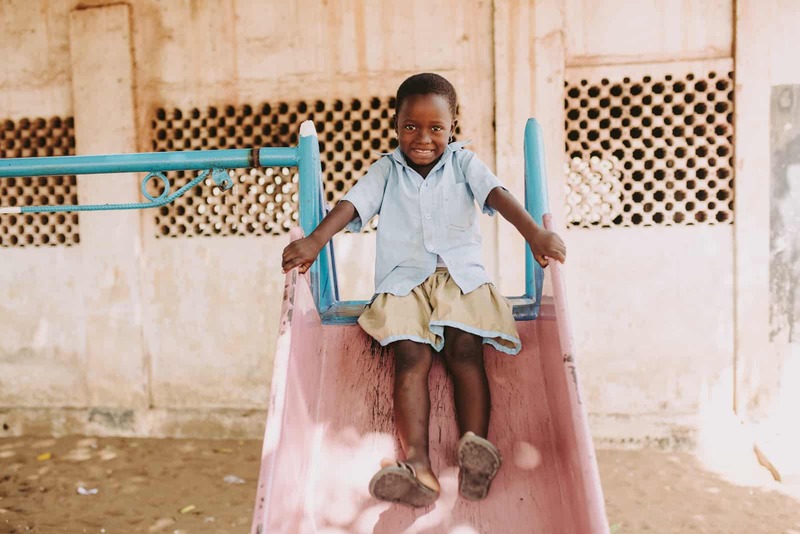 The frontline staff who interact with sponsored children on a daily basis are volunteers and staff members at local churches that host Compassion-assisted centers. Although these are not Compassion staff, we are serious about ensuring that they are trained in Child Protection. When a church first begins partnering with Compassion, they go through a thorough training in Child Protection. In addition to signing our Code of Conduct and Statement of Commitment to Child Protection every year, beginning this year, they will also attend a refresher session on Child Protection annually. Ririn, age 27 (pictured above in pink), is a development center mentor who promotes child protection in her church. “I have already co-facilitated a workshop on why we need to protect children and how to ensure they get protection. And I assessed the development center to improve the standards of care we offer,” Ririn shares. Learn about child protection in Indonesia. 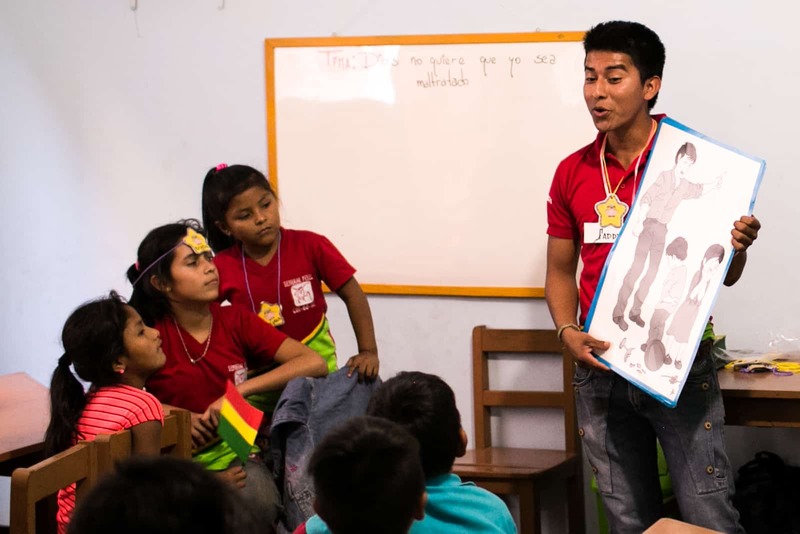 Faddy, a Compassion alum who now volunteers at the center he used to attend in Bolivia, teaches a lesson on how God feels about mistreatment and abuse – a lesson designed to help the children recognize when they see or experience mistreatment by an adult. Our national, regional and international staff, who do not regularly visit children in their work, complete computer-based training on Child Protection when they are hired, as well as sign our Code of Conduct and Statement of Commitment to Child Protection, saying they understand and acknowledge Compassion’s Child Protection standards, expectations of behavior and our ethics standards. Beginning this year, they will also repeat this training annually. Employees who visit Compassion centers on a more frequent basis, such as sponsor trip leaders, receive additional training on Child Protection. “[I] desire to show those who have had their rights violated that they are people with great value regardless of the way they were treated. 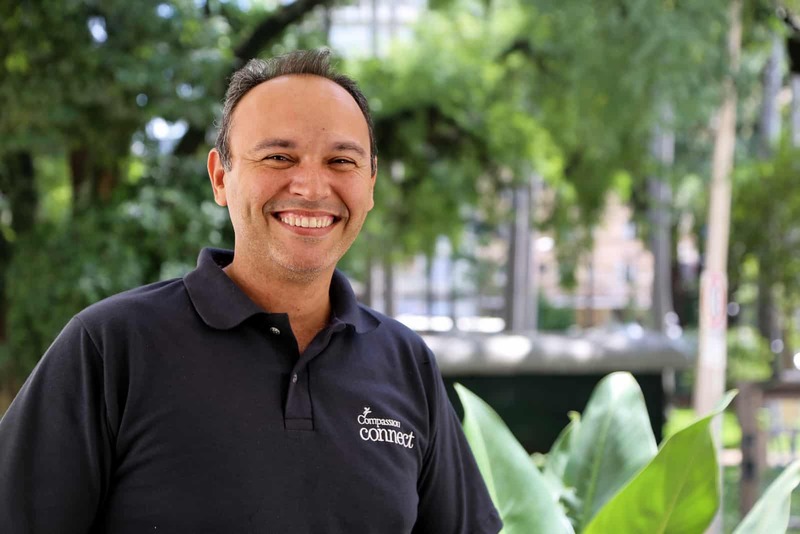 I pray to God that everyone who works in the Compassion partner churches understands our greatest call: to be a defender of children in all aspects,” says Francisco Jose, Compassion Brazil staff, creator of the Internal Protection Network for Compassion Brazil. One of the most life-changing opportunities for sponsors is the opportunity to visit the child they sponsor. These visits encourage children and give sponsors a whole new perspective on their ministry to that child. While we know that sponsors are dedicated child advocates, our priority is always Child Protection, so we have guidelines for all visitors to our ministry, including sponsors, contractors and vendors. Visitors must undergo background checks as well as Child Protection training during their trip preparation. They sign the Code of Conduct, which includes behavioral expectations such as never meeting alone with a child. We require that all visitors follow these policies without exception so that all children may be safe. 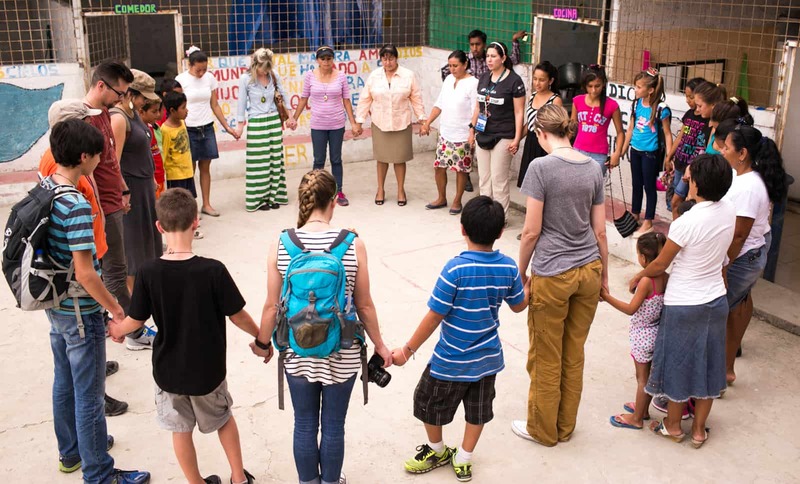 Sponsors visiting a Compassion center in Ecuador pray with the Compassion staff, volunteers and children. Compassion also uses Ethics Point hotline that allows for anonymous reporting as well as Ethics Point Child Protection software that allows anyone to file a complaint of abuse or misconduct. Abuse goes beyond just sexual abuse and can include neglect, physical abuse, emotional abuse, child labor, human trafficking, and harmful cultural practices such as child marriage and female genital mutilation. We respond to all of these when they are reported, including physical abuse. In Compassion’s program, we have a prohibition against physical discipline. In most contexts in which we work, physical discipline is not a crime. But our expectation with our church partners is that regardless of the cultural beliefs that exist about physical discipline at home or school, we don’t engage in physical discipline at any Compassion center. Medical: If it’s a case of physical or sexual abuse, care would generally involve medical intervention, including receiving a medical check and any necessary care and treatment. 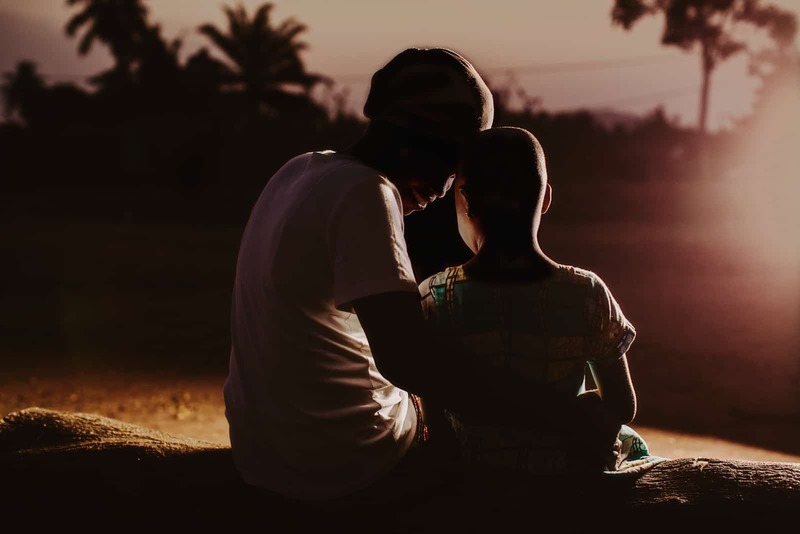 Counseling services: Depending on the nature of the abuse, we connect children with resources in the community to receive counseling support to recover. Spiritual care: Our church partners come alongside the child and family to offer pastoral support and counseling to the hurting child and family. Alternative housing: When a child’s living arrangement is not safe, we support the child in finding an appropriate place to live where he or she is safe to recover. 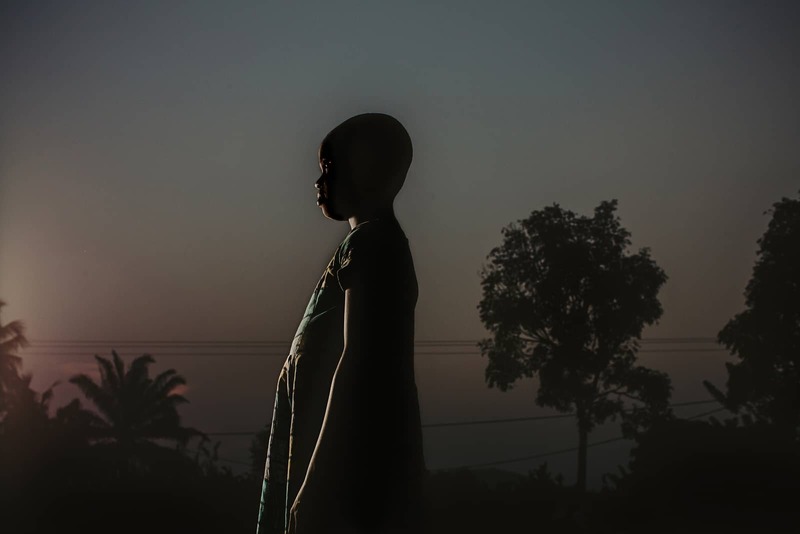 In Indonesia, 13-year-old Wawu became pregnant when she was raped by her neighbor. Compassion child protection staff member, Diana, alerted the authorities and arranged alternative protective shelter and medical care for Wawu during the pregnancy. Diana also arranged counseling for Wawu and her family and bi-weekly training on abuse prevention for the entire community. Wawu’s Compassion community fully supported her through the birth and her decision to give the child up for adoption. In order to best protect children, Compassion partners with many organizations globally and locally. 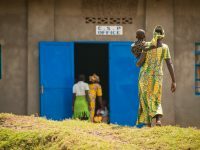 Some of these partnerships focus on training to prevent abuse, while others focus on responding to abuse, such as offering medical care and psychological care. 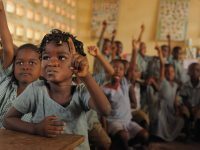 In an effort to always improve our protection policies, Compassion last year initiated Child Protection 2.0, a comprehensive, years-long approach to updating and standardizing Child Protection policies on a global level, as well as enhancing our training and improving our child protection strategies. This will allow us to continue to hone our commitment to and foundation of Child Protection and continue to raise awareness about child protection. There are children all over the world who live in areas that experience higher incidents of child rights violations. When you sponsor an at-risk child, you are providing child-protection, education, action planning and an immediate response to abuse when needed. Child protection begins with prevention. Prev Post:A Staggering Drop in Malaria Deaths in Just One YearNext Post:Who Translates Your Words of Love to the Child You Sponsor? Child protection should not be taken as mere philo-concept but indeed a ground where we can serve the heart of God. We the communities around the world have the role to masterguide the rights and spiritual welfare of our children wherever they are on the globe!!!! Let us love our children. IT IS WONDERFUL TO HAVE SUCH AN A MINISTRY/ORGANIZATION WHO HAVE AVENUES TO TO REACH THE MOST VULNERABLE CHILDREN AND OTHERS, I PRAY WE WILL GET THIS KIND OF SERVICES IN MY HOME STATE AND OTHER PARTS OF THE WORLD WHERE CHILDREN AND ADULTS ARE ABUSED. My PRAYERS andSUPPORT WILL CONTINUE WILL WITH YOU. GOD BLESS YOU BOUNTIFULLY andSTRENGTHEN EACH OF YOU ALWAYS. Thank you for this article; it answered several questions I’d had. I sponsor a young girl in a part of the world where child marriage is a concern; this was mentioned as a form of abuse in the article (and rightly so). What happens if a child in the program becomes a victim of child marriage? Or are parents/caregivers required to promise that this won’t happen when they sign their daughters up for the program? For my sponsored child, I hope this won’t become an issue for a long time (if ever), as she’s very young. Amanda, we appreciate the love and concern you have for your precious girl, Ashwinie. I can tell that this issue is very close to your heart, and we thank you for asking this question. Our heart is for every child to be known, loved and protected. As you may know after reading this blog, we take child protection very seriously. We have developed robust training, policies and networks to both prevent and respond to abuse. As our blog said, we do ensure that children know what their rights are, how to protect themselves, and how they can respond if they or someone they know is hurt. Parents/caregivers are not required to promise that they will not abuse their child. However, we do provide training to parents/caregivers each year, so they know their children’s rights, as well as how to respond if something were to happen. If our Compassion staff, church partner staff or our volunteers have any reason to believe a child may have been harmed (including child marriage), they are required to report it. We use Ethics Point Child Protection software that allows anyone to file a complaint of abuse or misconduct. Please rest assured that if Compassion has reason to believe a child has been a victim of child marriage, Compassion would always alert the appropriate authorities, no exceptions. I hope this information is helpful. If you have any additional questions or concerns, please email us at socialmedia@compassion.com, and we would be happy to answer you there. Have a blessed day. I am so eased to see the proactive response to a very difficult matter. Far better than being reactive, when the damage has been done. This makes a powerful statement in your commitment in keeping children safe. As one who was abused as child, this makes it even more so. God bless your ministry. A well-written article, Amber, on an important topic. My previous Compassion “child” was a female Indian college student when Compassion had to withdraw from her country. Violence against women is so severe there that it makes the news even in the USA, so I was always concerned for her safety, and still pray for her. My current child is a little girl in Haiti, another country where children are very vulnerable. I am glad to know that Compassion staff and the host church staff are trained and working hard to protect her! Thank you for writing this post. Child abuse is a hard topic to write about. I am thankful that Compassion is dedicated to protecting children from abuse. I support four children through this ministry and I am grateful for your efforts in this area. Thank you again for the ministry of working with and protecting children in poverty.